• Large market opportunity—can the company grow to 5-10x its current size? • Strong and incentivized management—I like companies led by a founder, family or long-tenured CEO with a vision. • High return on capital or potential return on capital. In an early stage company, this may indicate that the unit economics of attracting a customer versus the value of that customer are elevated. This also translates to a strong competitive position. This write-up is the second in a series of Growth Factor updates exploring private companies that have recently sparked my interest. There are approximately 1 million vacation rental properties in the United States and many more worldwide. Traditionally, vacation property owners maintain and rent their properties themselves or use a local realtor/property manager. The Barr family has rented a vacation home in Avalon, NJ and the weekly changeover at Ferguson Dechert Real Estate is quite an operation. Enter Vacasa. Based in Portland, Oregon, Vacasa’s mission is to be the most trusted vacation rental company. Vacasa combines the benefit of data analytics to price and market properties with the hard work of cleaning and maintaining properties. It has over 2,500 property maintenance employees in over 2,000 markets. Most importantly, Vacasa benefits from economies of scale. It knows more about local and national markets than a traditional local property manager, and it provides superior results for property owners and vacationers alike. While Vacasa has a bookings site, it is much more than a booking site. Vacasa manages over 10,600 properties in the United States and 15 other countries, and it uses many tools to lease a property under management. Vacasa is a large lister on sites such as HomeAway and Airbnb. 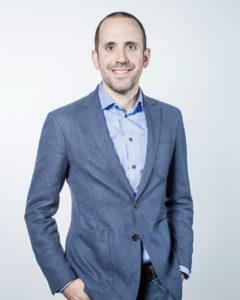 In October 2018, Vacasa’s Founder and CEO Eric Breon said, “Vacasa has consistently grown 60% year over year, but we’re still only 2% of the market.” Thus, the vacation rental market is barely penetrated by national scale property managers Vacasa and Wyndham Vacation Rentals, which is part of Wyndham Destinations (WYND). We see a great opportunity for Vacasa to grow organically and via acquisition. We highlight below Eric Breon’s vision to create a professional vacation rental service, providing optimal financial returns for owners and enjoyable booking and vacation experinces for guests. I met with CEO and Founder Eric Breon at Vacasa’s headquarters in Portland’s Pearl District, which houses over 500 employees. Eric is an entrepreneur’s entrepreneur. I highly recommend listening to his December 2016 presentation, “Confessions of an Entrepreneur,” with Nitin Rai of Elevate Capital, as part of the TiE Oregon lectures. Eric also gave a great presentation in March 2017 at TechFest Northwest. Just a few weeks ago, Eric was interviewed at Start Up Grind Seattle. 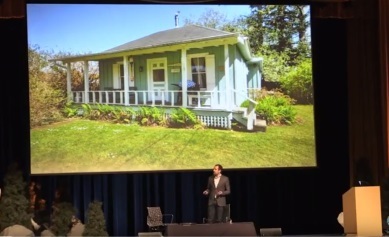 Eric recognized the opportunity for a better vacation rental experience when he and his wife were tasked with caring for their family-owned cottage on the Oregon coast. They worked non-stop cleaning and maintaining the property, not to mention time spent on bookings, and were hardly able to enjoy it themselves. What if they could turn that work over to a property manager, use it for enjoyment whenever they wish, and collect a check for the time they couldn’t use it? Vacasa launched in 2009 and as Eric describes it, he kept a paycheck by consulting with his previous employer, and the first employees worked out of his kitchen. The company’s initial concept was as a booking service for people managing their own vacation properties. Eric quickly realized that he was responsible for the vacationer’s experience, regardless of what the contract said. He found that owners didn’t clean and provided bad photos for marketing. Eric concluded that it was easier to manage his own cleaning and maintenance staff. He also found that property owners were not willing to pay a nominal fee to get a better rental price, but that they were willing to pay for cleaning staff and hassle-intensive maintenance. Vacation home owners are generally a more affluent group that are less sensitive to the rental income, and have a high value to their time. Eric’s family’s cottage on the Oregon coast. He describes 80-hour workweeks, going door-to-door on the Oregon coast to convince property owners to hire Vacasa as their property managers. The company was bootstrapped until they raised a $40 million Series A round in 2016. To this point, it had spent little on corporate overhead. It had no CFO and only minimal other administrative functions. Vacasa hired people without experience and those self-starters, adept at solving problems, were given lots of opportunities. Today, Eric still likes to travel to many of the markets each year. He spends time on the road talking with employees and seeing the properties. 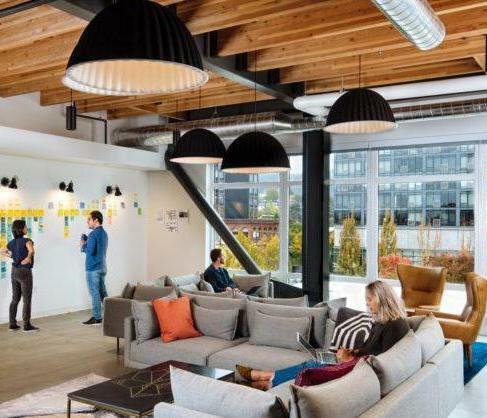 Above: Vacasa’s new headquarters in Portland’s Pearl District; the inside of Vacasa’s workspace for over 500 employees. Vacasa provides complete management of vacation properties in select U.S. and international markets. Vacasa’s on-the-ground team will care for the property, and the rental team will employ analytics and machine learning to provide the perfect price for every night. Vacasa knows how to price a property for the “shoulder season” versus peak season to maximize the return. Both of these are particularly important in international markets, such as Costa Rica or Belize, where the owner is often remote and may not know where to turn for a trusted property manager. Vacasa serves 2,000 markets and 30 states, with a particular strength in driving vacation markets, such as the Oregon coast and Mount Hood. It works within local regulations to serve select cities. Vacasa also manages properties in Europe, South America, Central America, the Caribbean and South Africa. For the renter, Vacasa is a great experience. I used Vacasa this year for a house rental in Seattle. It was very easy to compare properties and select one at a good price compared to the nearby hotel alternatives. The unit was in great condition and as described. The Vacasa staff left a personal note with their phone numbers which I could have used at any time. All in all, it was a very easy process to get a great value for a long weekend. 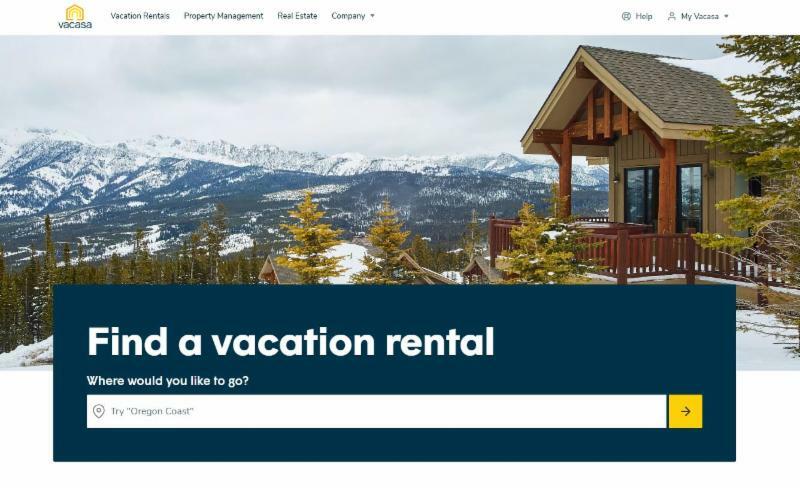 Vacasa Real Estate, launched in July 2018, is an offering that capitalizes on Vacasa’s relationship with vacation property owners and renters, which are the most likely buyers and sellers of vacation homes. It also capitalizes on Vacasa’s proprietary data on the economics of a vacation property and its comparables. Vacasa Association Management – According to a November 2018 article in VRM intel, some of Vacasa’s acquisitions have included multifamily and community association management programs. Some of its managed vacation properties are within community associations, so community management is a natural extension of the business. Vacasa currently provides governance and legal compliance, onsite management of community areas and more to 16 community associations. The multifamily program works with developers to fill vacant units with short-term rentals in urban markets. These markets are subject to local regulation, which Vacasa takes seriously. 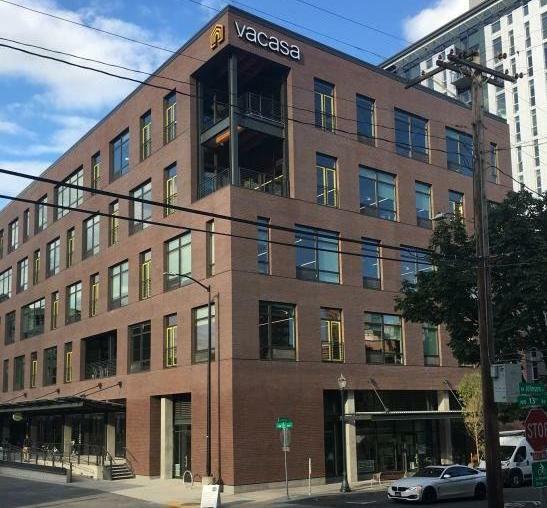 Vacasa has acquired approximately 100 companies over the last eight years, which have been primarily local property managers. There have been 21 acquisitions in 2018 alone, including Mandoki Hospitality at Gulf Shores Plantation, of Gulf Shores, AL, headed by industry pioneer Pedro Mandoki, former President of the Vacation Rental Management Association. He was also part of the management team of ResortQuest, which went public in 1998. Additionally, in October, Vacasa acquired the Oasis Collections, which has over 200 properties under management in 17 major cities across the Americas and Europe. Acquisitions either jumpstart a presence in a new market, add critical mass to a market, or may have very strong online presence and dominate search results. Vacasa provides an exit path for an owner-operator and may be seen as a “retirement package” for that owner. Vacasa also pays a minimum of $15 per hour, benefits and a career path for its housekeeping and maintenance staffs. It wants to be the employer of choice in its markets. Eric has a strong appreciation for the labor side of Vacasa. It’s clear he has great pride that Vacasa’s people “do stuff.” Vacasa prevents parties and plunges toilets. With over 10,000 homes, water heaters are breaking every day. Vacasa’s staff answers that water heater call at midnight. Every year, 5% of Vacasa’s homeowners sell their vacation rentals, which become units lost to Vacasa. Local real estate agents can become Vacasa Certified Experts; this certification provides them access to data, including revenue and expense projections, marketing photos and 3-D home tours, which have already been prepared in the marketing of the home as a rental. Vacasa Real Estate partners with agents from over 80 leading real estate companies, including Berkshire Hathaway, Century 21, Coldwell Banker, Keller Williams, RE/MAX, and Sotheby’s. I believe Vacasa acts as a referring broker and collects part of the commission. Eric believes that Vacasa Real Estate can be a significant business for the company. In addition to Vacasa and Wyndham, TurnKey Vacation Rentals of Austin, TX, with 3,700 units under management, is a third national participant. This market is fragmented – the Vacation Management Association has over 800 members that manage just 100,000 units out of a 1 million units market. Property management in the vacation market is primarily a local market. In any given vacation town, there may be a dominant realtor who gets most of the listings, does most of the seasonal rentals, and manages the properties. As local businesses, they are great. However, they are dependent on owners, who may want to retire. Employees may have limited career opportunities and also limited back-up for when staff is unable to work. Some likely lack digital marketing skills. Vacasa provides liquidity for an owner, career options for employees, critical mass for purchasing and deep data analytic capabilities used for pricing and leasing properties. Vacasa uses cash to acquire and build critical mass, and I believe the company may continue to do so. I believe the unit economics of an established market are very good and can lead to high margins and return on capital. Vacasa’s business model is to charge a management fee for its services. Vacasa opens new markets incrementally with a small team or individual whose responsibility is to sign properties under management. As the properties under management grow, housekeeping and maintenance staff will be added. Eventually, the market will have a general manager and a team on the ground. An example of an economy of scale is in housekeeping. Vacasa automates scheduling, has online reviews, and instant feedback. Similar economies come from purchasing and maintenance. We believe these returns and the scale provide a competitive advantage versus local managers. When thinking about Vacasa, one must start with the fact that the company was bootstrapped from its founding in 2009 through 2016. Eric knows how to run a company profitably and to generate cash. Vacasa’s first round of $40 million from Level Equity was raised in 2016. In October 2017, Vacasa raised $104 million from Riverwood Capital, Level Equity, NewSpring Capital, and others. The round was led by Riverwood and, according to an article in National Real Estate Investor, nearly doubled Vacasa’s valuation. In October 2018, Vacasa raised $64 million in a Series C round led by Riverwood Capital with the same investors. Vacasa is using the capital for acquisitions, and to launch new markets and new services, such as Vacasa Real Estate. Besides CEO Eric Breon, Vacasa is led by Chief Operating Officer Bob Milne, who joined in 2017. He had previously been President of Wyndham Vacation Rentals. Jeff Parks, Founding Partner at Riverwood Capital, joined Vacasa’s Board of Directors in 2017, as did Brian Gill, former Expedia executive and Hotwire Chief Technology Officer, who now heads Nordstrom’s technology effort.